Being the successor of the fitbit Alta , the fitbit ActivityTracker ALTA HR is equipped with a continuous pulse measuring on the wrist. Water-repellent (sweat, rain, splash proof); however, it is not suitable for taking a shower and swimming! On the one hand, the fitbit ActivityTracker ALTA HR is equipped with all the latest functions including continuous pulse measuring on the wrist. On the other hand, the ALTA HR is only few millimeters wide and hence a real, slim fitness wristband, which is less brash but all the more stylish. The wristband, which is only 15 mm wide and is available in different colours and materials, offers a comfortable wearing experience in everyday life and sports - without forgoing the functions. Quite the contrary: The fitbit ALTA HR comes with the same functions like its big brother, the fitbit Charge 2 . Everything is based upon the automated exercising determination "SmartTrack". Here, certain training types like running or cycling are automatically recorded by the fitbit ActivityTracker ALTA HR and are available for the training analysis afterwards. When the fitbit ActivityTracker ALTA HR is connected with the GPS of a smartphone, advanced training parameters like pace and track layout can even be measured. 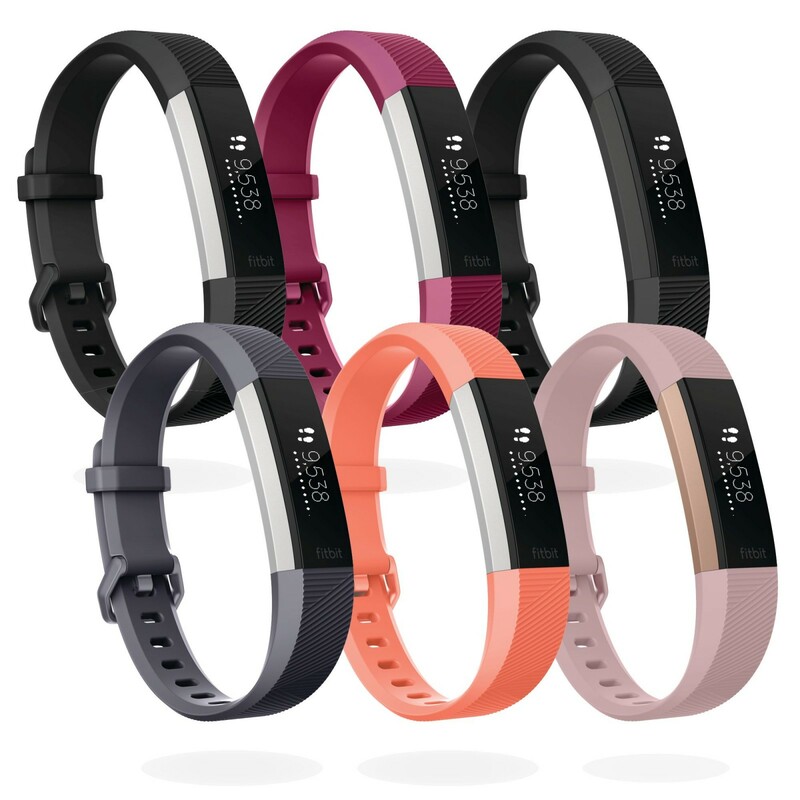 Like its predecessor, the fitbit Alta , the fitbit ActivityTracker ALTA HR records steps, covered distance, burnt calories, active minutes, and hourly activities with a battery life of up to seven days. NEW: The Dabei NEU: In order to keep moving, fitbit ActivityTracker ALTA HR sends friendly activity reminders, which ask you to walk 250 steps an hour. Furthermore, the personalised cardio fitness index makes you understand the improvements of the own fitness level. However, being one of the pioneers of smart tracking, fitbit does not only deal with improved fitness functions but focusses on rest periods as well with the fitbit ActivityTracker ALTA HR. Customised breathing exercises throughout the day help to find moments of rest. Here, the programme is oriented towards the heart rate. Being a common feature of fitness trackers of its class, the fitbit ALTA HR is equipped with an automated sleeping recognition. While sleeping, the deep and restless sleeping phases are determined, so that the sleeping habits can be better adjusted. Furthermore, the fitness tracker awakes softly by means of a mute vibration alarm. The Alta HR resists rain, sweat, splashes - but, however, it cannot be worn while taking a shower or while swimming.